At Top Cleaning Supplies, we are proud of the high performance, low-cost professional cleaning products we supply. Cleaning products for the professional cleaning market are designed to provide superior cleaning power at prices which allow economic solutions for your professional cleaning tasks. 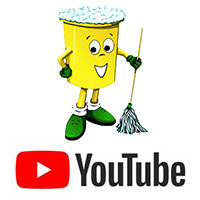 We have been busy carrying out cleaning demonstrations and uploading the ‘how to’ videos to our YouTube channel. We will show you how to remove common carpet stains such as coffee, red wine and ketchup, show the difference in finish of low gloss and high gloss floor polish and demonstrate how to use car valeting cleaning chemicals to get the very best results. We feel that it is important that our customers know what to expect from the cleaning supplies they buy from us. With your busy schedule and a requirement for good value cleaning supplies, you’ll be able to see exactly what you can achieve with the cleaning products we sell without wasting precious time and money on products which may not deliver the results you want. So whether you’re a professional carpet cleaner, a car valetor or work in the specialist floor cleaning and maintenance industry, we’re sure you’ll gain valuable knowledge and insight into the professional cleaning supplies we stock. If you’d like for us to demonstrate a particular cleaning product, please let us know. Just fill out our online Contact Form stating the product(s) you’re interested in watching in action, and we’ll do our best to upload a video demonstration to YouTube for you to watch. Click the link to visit our YouTube channel.